There were 702 press releases posted in the last 24 hours and 154,058 in the last 365 days. /EIN News/ -- SACRAMENTO, Calif., April 17, 2019 (GLOBE NEWSWIRE) -- TRI Pointe Homes Sacramento today announced three new communities coming soon to the Greater Sacramento Region. La Madera at Twelve Bridges in Lincoln; and Waterstone and Brookstone at Folsom Ranch in Folsom. All three communities are anticipated to open in 2019 providing new options for buyers in a region full of growth. 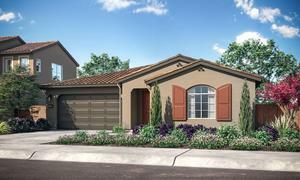 La Madera at Twelve Bridges will feature Spanish exterior style single-story homes. There will be three exterior options available per each residence. 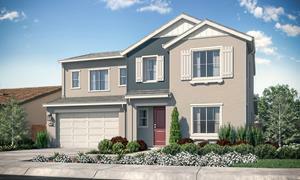 La Madera at Twelve Bridges will feature cottage exterior style two-story homes. There will be three exterior options available per each residence. La Madera will feature 102 single-family homes with four home designs. La Madera’s single and two-story homes will range between 1,606 to 2,773 square feet with up to five bedrooms, four baths, and a two or three-car tandem garage with prices anticipated to start in the mid $400,000s. La Madera is projected to open in early June. Waterstone will feature 77 single-family homes with three home designs while Brookstone will feature 145 single-family homes with four home designs. Waterstone’s single and two-story homes will range between 2,624 to 3,718 square feet with up to five bedrooms, four-and-a-half baths and a three-car garage with prices anticipated to start in the mid $600,000s. Brookstone’s single and two-story homes will range between 2,348 to 3,331 square feet with up to five bedrooms, three-and-a-half baths, and a two or three-car tandem garage with prices anticipated to start in the high $500,000s. Waterstone and Brookstone will also offer HomeSmart® technology and are projected to open later this year. All three communities are geared toward first or second-time homebuyers and empty nesters with an emphasis of creating unique homes and living spaces for that market segment. While remaining consistent and disciplined in the land it chooses to acquire, TRI Pointe Homes Sacramento will continue to look for opportunities to develop communities for multiple market segments ranging from entry-level to move-up to high-end locations near new employment centers, desirable schools and convenient services. TRI Pointe Homes Sacramento designs, constructs, and sells innovative single-family homes and townhomes. Founded on more than a century of combined real estate industry experience, the company focuses on building quality, master-planned and urban infill communities throughout the Sacramento metro area. Dedicated to insightful design and superior craftsmanship, the company is setting a new standard in homebuilding and customer experience. The company is a member of TRI Pointe Group® (NYSE: TPH), a family of premium regional homebuilders. TRI Pointe Group is one of the largest homebuilders in the U.S. and was recognized as 2014 Developer of the Year by Builder and Developer magazine and 2015 Builder of the Year by Builder magazine. For more information about TRI Pointe Homes Sacramento, please visit www.TriPointeHomes.com/Sacramento.